The bacteria known as MRSA are actually a strain that is a part of the stahylococus aureus bacteria. It is especially dangerous because it does not respond to a majority of current antibiotic treatments. Antibiotics are most frequently used to treat viruses, but since MRSA is a bacterium, they are much less effective. How do Patients Contract MRSA? MRSA can enter the body in multiple ways, such as through a breathing tube, a cut on the skin or during the insertion of a catheter. Once MRSA has entered the body, it is transferred to internal systems such as the blood, bones, and even the lungs. Those who have weak immune systems including infants, elderly individuals, or those who reside in long-term care facilities are especially susceptible to MRSA. Implementation of preventative measures and protocols are crucial for hospitals and health care centers in order to prevent possible infection. If a patient does contract the MSRA infection it is essential to determine where the initial infection took place. 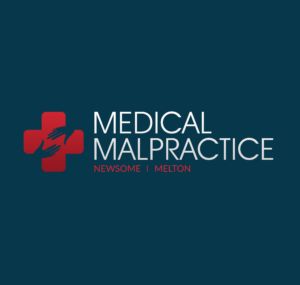 It is possible that negligence on behalf of the medical staff contributed to the exposure; which can occur when using dirty instruments or equipment, failure to use new disposable gloves or needles, or reusing linens and towels. MRSA bacteria lives on multiple types of surfaces including bath tubs or showers, floors, sheets, towels and toilets along with other surfaces that are present in most healthcare facilities including doctor’s offices, urgent care facilities, hospitals and emergency rooms and rest rooms or rehabilitation facilities. Because the bacteria is commonly found in order to claim negligence on the part of the facility a patient must first prove fault on the part of the medical center where they were treated. Negligent procedures that should be documented include improper care of the instruments or failure to adhere to protocol, as well as records of the cleaning procedures or chemicals that were used for disinfecting materials.